Sometimes , a thought is all that is needed to spring forth an Idea. Ideas of course lead to action and every action has a consequence. Rewind to late 2013, when a motley crew of dreamers and do-ers had these exact thoughts in mind. These thoughts, heavily influenced by music and an unending urge to stand out and forge an identity is what drove the suspects in question. A bit cryptic you might say, but it is just this thought that led to the creation of ModeM Networks that has managed to tilt the scales of Bangalore’s burgeoning underground electronic music culture just a tad. Founded by Aslam TP, Rishi Sippy , Aashish Gupta , Ravi Rajpal and Fajar R. Kandoth ; ModeM Networks is based on the idea of a community, of a gathering of like-minded people. Be it artists, music enthusiasts or just your regular buddy who dislikes the mundane. With honest beginnings and in a span of just two years these boys with the support of just a few local artists, have managed to host 100+ gigs in a city that has a serious dearth of quality music venues. That being said they have also managed to bring down some incredible names in the international circuit such as Monoloc , Lake People ,Pawas, Konrad Black, Fabrizio Maurizi and now Tobias Freund, Orson Wells and Fairmont. As always though, nothing in life comes easy and everything is earned. ModeM Networks have had their pitfalls, their ups and downs but make no mistake they/we/us always learn, grow and eventually wisen up to a sometimes cut-throat scene. You might be a little befuddled as to the reference of ‘We’ that has been used? Thought so. ‘We’ is what you get when an artist duo, a graphic designer, a promoter and a leader cross their paths to stride toward a common goal. Interestingly they make it work like clock work. Aashish and Rishi (The Technomads) take care of the programming on a monthly basis, Fajar looks after the creative aspects, Aslam is in charge of networking and scouting for potential venues along with Ravi who is the brains behind the marketing division. The movement caught on and the ModeM roster expanded. So much so that mentioning a few names would discredit the others and it does not stop there. What started with having gigs with just 5 – 10 people (imagine a private party in a big club) two years ago is a far cry from today where there are twenty times the number as a minimum and only increasing exponentially. None of this would be possible without the support of a few venues who believed. Pebble , The Tao Terraces and The Humming Tree are the venues in question. It is also these very venues who will now host the Second Year Extravaganza that is Over & Out 2016. A collection of 3 experiences in these 3 venues designed to give you an aural and visual epiphany. What inspired you to start ModeM Networks? The need to prove to ourselves and to our families that you can make a life out of music. The growing popularity of commercial dance music was getting to us as well, and we felt the need to step up and make a difference and take matters in our own hands. How has the 2 year journey been so far in Bangalore? Your thoughts? It’s been brilliant, albeit tons of ups and downs. Pushing music that isn’t the “widely accepted rule” has been a challenge, but we’ve seen our fanbase grow by the day, literally. We’d also like to think that ModeM in itself has helped give other promoters a confidence boost to bring underground artists to Bangalore. The scene here is still developing, but we can proudly say that we’ve been instrumental in helping bring it to the fore. What is the key element that makes Over&Out unique? Could you throw some light on the experience you want to deliver? The biggest one would be the artists. We have stuck to the theme and ensured that only the artists we truly love and support are brought down. Popularity and crowd pull has never been the criteria for us. We’ve curated this to give people an experience different from the rest, opening their ears to a different kind of dance music. What has been the biggest challenge in getting all of this together? What’s your opinion about Bangalore and its growing recognition of Intelligent Dance Music? It’s about time! We still have a loooong way to go, but it’s great that so many of the younger people have learnt to appreciate this as well. Says a lot about where we’re headed in the future. If you were to have Over&Out in any other city in India, which would it be? Anywhere so long as it’s Bangalore. Will Over&Out move to a multi-city tour / go international eventually? No. It will remain here. What do you have to say about the local (artists and venue) support you’ve received in helping curate your events? Gaining the confidence of venues has been challenging, as the music we propagate isn’t the widely accepted norm. It takes a while for them to build faith, but we’ve been lucky that Humming Tree, Pebble and The Tao Terraces have believed in us and helped give us the boost we needed. As part of the experience, Over & Out will also host a workshop featuring Orson Wells and Pawas Gupta in association with The Goethe Institut. Could you throw some light into what a student of the craft can expect ? music production tips and insights, basics of Djing with vinyl , setting up a turntable and its properties, tips for vinyl Djs and anything else that the audience might want to know about the art! Any particular artist(s) you wish you could host at Over&Out, at some point of time in the future? As important as the artists are, the festival is always bigger so it really depends on the direction we would like to take next time around. 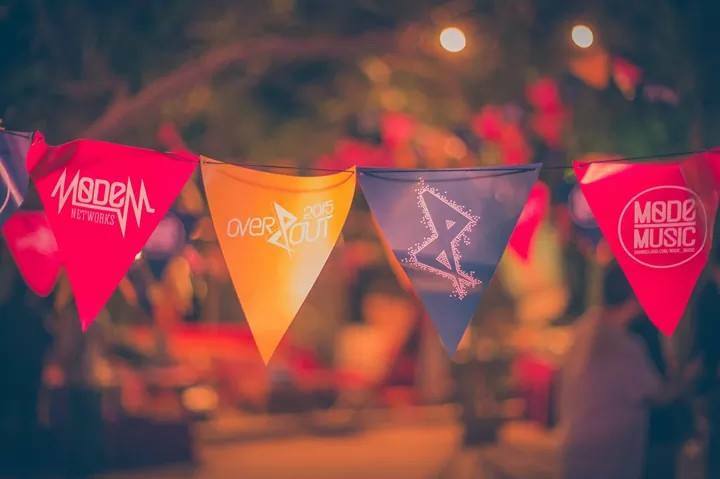 What’s the one thing you’re eagerly waiting for, at Over&Out 2016? Our vision for the festival to finally come to life. Anything that we as an audience need to keep an eye out for? Everything! Make sure you’re there from the beginning to the end. Don’t miss a single set, as we’ve got some brilliant talent right here in our city, each with their own unique approach and styles, and it’s going to be a whole lot of crazy, right from Day 1. That being said, we can’t wait to see what the crew has in store for us this year round. We recommend you come by and check it out for yourselves. Sets from the last year’s edition of Over&Out.